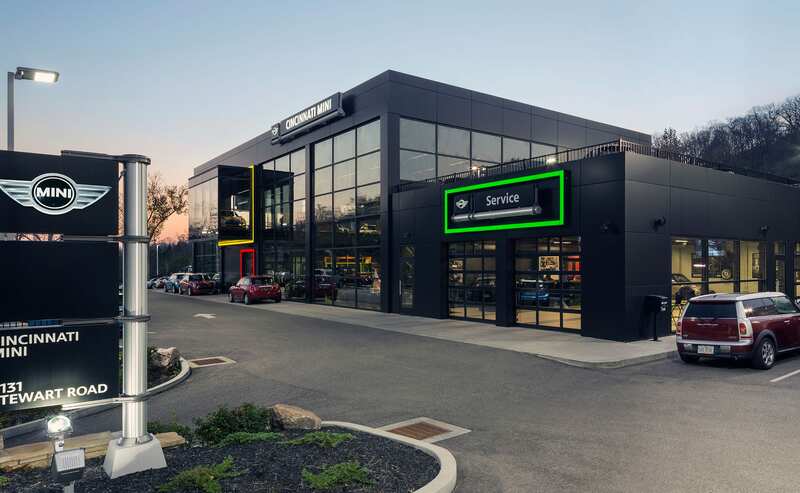 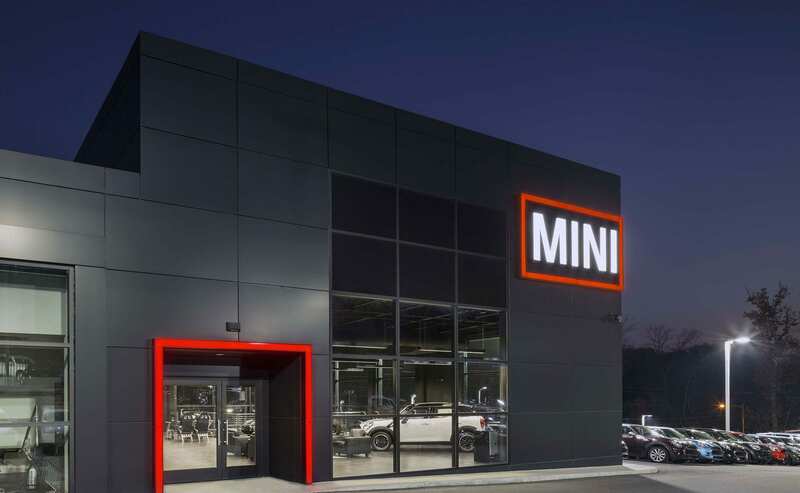 Tasked with the challenge of adapting the MINI corporate prototype design to the dynamic typography of the existing dealership campus lead to a creative balance. 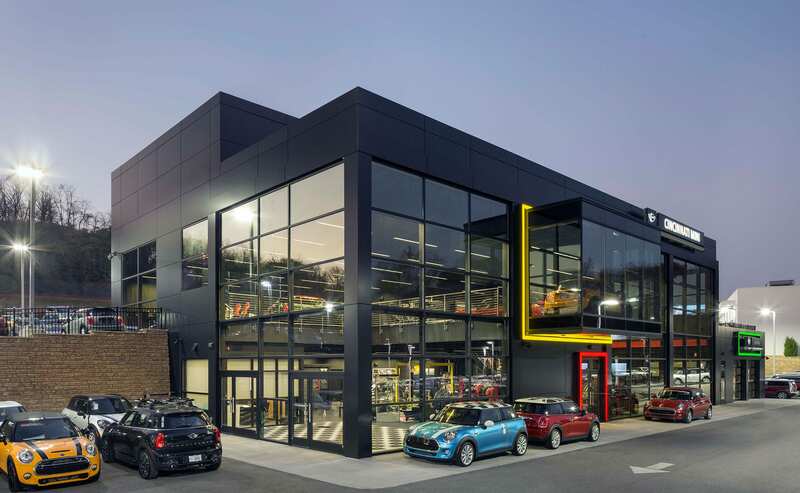 The design utilized a series of retaining walls and creative solutions to adapt the building to the sloping site. 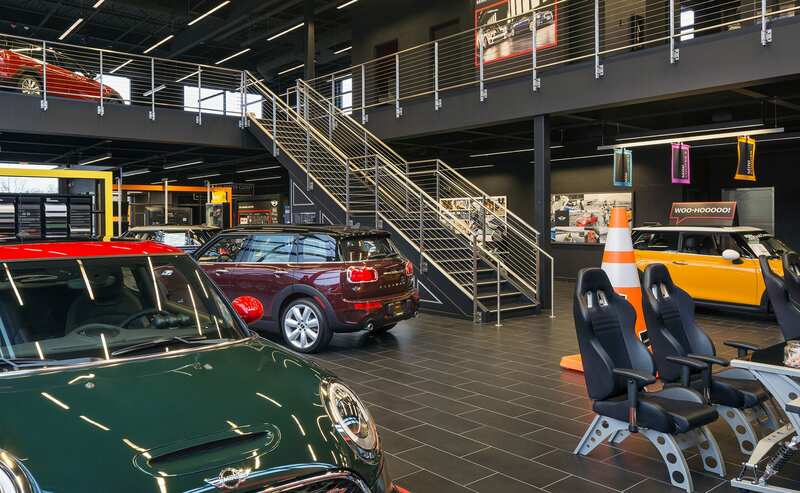 By solving the topographical challenges, we maximized parking and improved circulation making the experience of car shopping more customer friendly and safe. 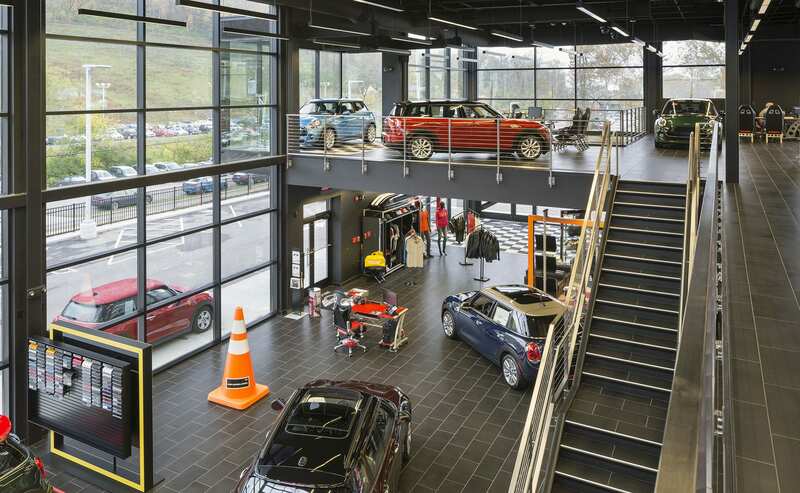 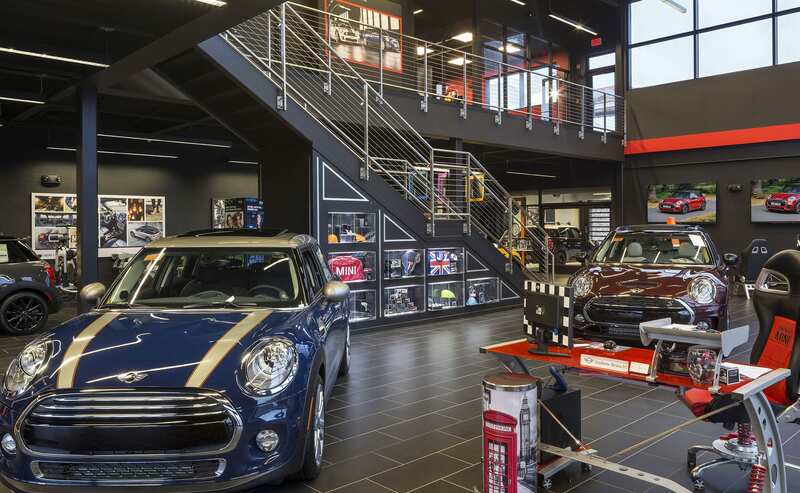 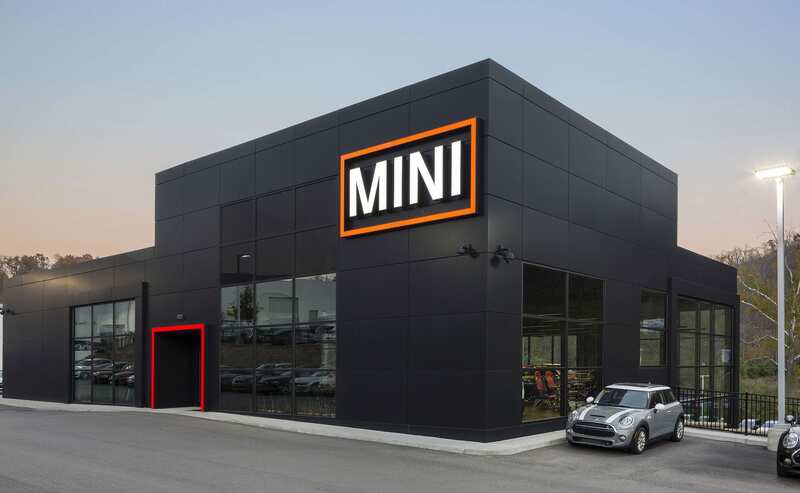 The new MINI showroom created a unique retail environment for the MINI brand and opened up space in the existing BMW showroom to introduce new product lines.